The original harbour was built in the 12th century and served nearby St. Davids, importing coal and timber. Porthclais is still used by local fishermen and recreational sailors. 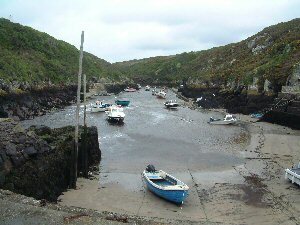 The harbour dries out at low tide and is a good launching spot for small boats, dive craft and kayaks. In 2011, Pembrokeshire Coast National Park Authority granted a 15-year occupational lease to the Porthclais Harbour Authority Limited, a not-for-profit company run by the harbour’s volunteer boat owners.